By wide acclaim, Princess Caribbean cruises are luxurious in experience, but the prices are affordable. You can choose to take your family on a luxury Caribbean cruise without having to break the bank, when you choose an inclusive Princess cruise vacation. With several inclusive Princess cruise sailings offered for several months of the year, your family will find an itinerary that is perfect for all and a price that pleases the pocket. Caribbean cruises with Princess Cruises are known to be replete with a decor that suits royalty, food offerings that are to die for, and beautiful ships that are out of this world. 5. Being pampered from the moment you board until you return to your embarkation port. 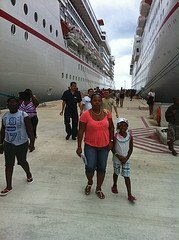 The bottomline - Your family will enjoy any Princess Caribbean cruise sailing! Note: The information below is subject to change as Princess Cruises re-positions its ships and add new ones such as their brand new vessels, Royal Princess and Regal Princess. Yes, like many people, you are curious to know what ships are available for a Princess cruise vacation. You might have seen the "The Love Boat" on television and wonder if your ship will look the same - or not. There is an exciting fleet of ships in Princess Cruises' line-up of inclusive cruise vacations. 1. 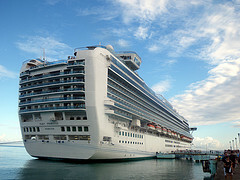 The Caribbean Princess - The "Caribbean" is among the largest of all Princess Cruises' ships. It features the renowned Lotus Spa and nearly 900 cabins with a balcony. The Caribbean Princess also offers the latest in entertainment options with a giant pool-side video screen for movies under the stars. 2. 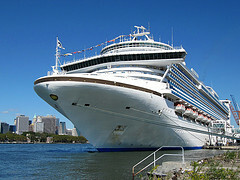 The Crown Princess - The "Crown" is similar in size to the Caribbean Princess and features a unique atrium dubbed, the Crown Plaza, capturing the spirit of an Italian piazza. You can grab a quick bite to eat or just watch other people. You can also expect to enjoy the Crown Grill, a classic-style steakhouse for adults only. 3. The Emerald Princess - The "Emerald" is bigger than both the Caribbean Princess and the Crown Princess. It offers many dining options, the renowned Lotus Spa and Lotus Fitness Center, movies under the star and nearly 900 cabins with a balcony. 4. 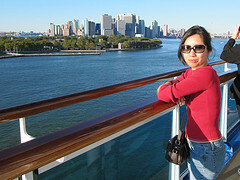 The Grand Princess - The "Grand" is taller than the Statute of Liberty and longer than three football fields. This ship offers many ways to relax, dine, shop, play and indulge. There are over 700 staterooms with private balconies, plus mini-suites and suites. 5. 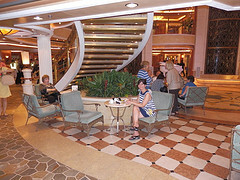 The Ruby Princess - The "Ruby" is similar to the Crown Princess, offering an Italian piazza-style atrium. Additionally, it features the signature Sabatini's Italian trattoria and the Crown Grill steak and seafood restaurant. There is also an adults' only relaxing oasis. You will find that most of Princess Cruises' sailings originate from Ft. Lauderdale, Florida. Yes, your family may book from 4- to 20-day Princess cruise vacations aboard ships such as Emerald Princess, Regal Princess and Royal Princess out of Ft. Lauderdale. In addition to Princess Caribbean cruises sailing from Ft. Lauderdale, you can find inclusive 7- to 21-day Caribbean cruises from Houston, Texas. The Caribbean Princess currently sails out of Houston. Click here to search for available Princess Caribbean cruises. If you have heard that Princess Cruises offers exciting itineraries to the eastern and southern Caribbean, you have heard right. Here are just two samples of such exciting inclusive Caribbean cruise sailings offered by Princess Cruises. 1. Sail with the Emerald Princess on 7-day cruises from Ft. Lauderdale to the Eastern or Western Caribbean. These cruises take you to ports of call such as St. Maarten and St. Thomas in the east and Grand Cayman and Cozumel in the west. 2. Try a 7-day Caribbean Princess sailing from Houston to: Cozumel, Mexico | Roatan, Honduras | Belize City, Belize. Those are just samples. 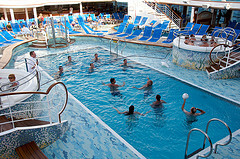 Click here to find other exciting Princess Cruises itineraries. There is so much more to say about a Princess cruise vacation. However, I hope that I have wet your appetite and have gotten you fired up to choose from several exciting Princess Caribbean cruises. Need help finding a Princess cruise sailing? Fill out the form below to submit a cruise quote request. We will be delighted to help you find the perfect cruise for your family. 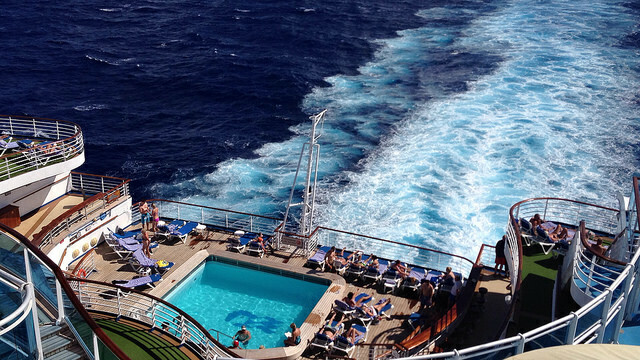 Have you experienced a Princess Cruise vacation? Has your family sailed with Princess Cruise Line? If you have, we would love to hear about it. Please feel free to click here to submit Princess Cruise reviews.